I woke up this morning to the sun shining – I love that! Especially since I usually wake up to darkness. I decided to start my day off with some greens, so I whipped up some Chocolate Milk. Yum. 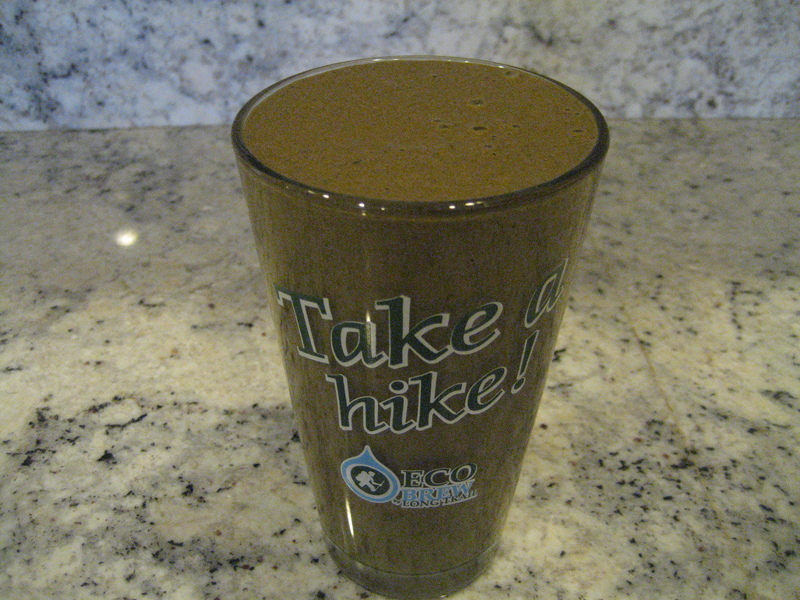 I love this chocolate milk – trust me, even though it may look a little green, you cannot taste the spinach one bit! 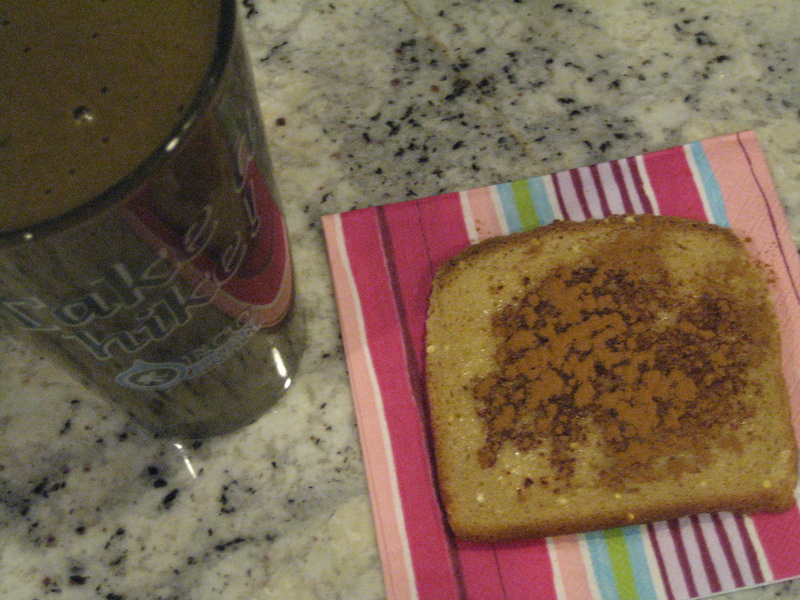 I also munched on a slice of millet toast with earth balance and cinnamon. I needed something to chew as well. Lunch included more green. The only veggies we bought this week were romaine lettuce and baby spinach, so those will be our greens for the week. We have a fridge, freezer and cabinet full of food to use up before we spend more money at the grocery store. 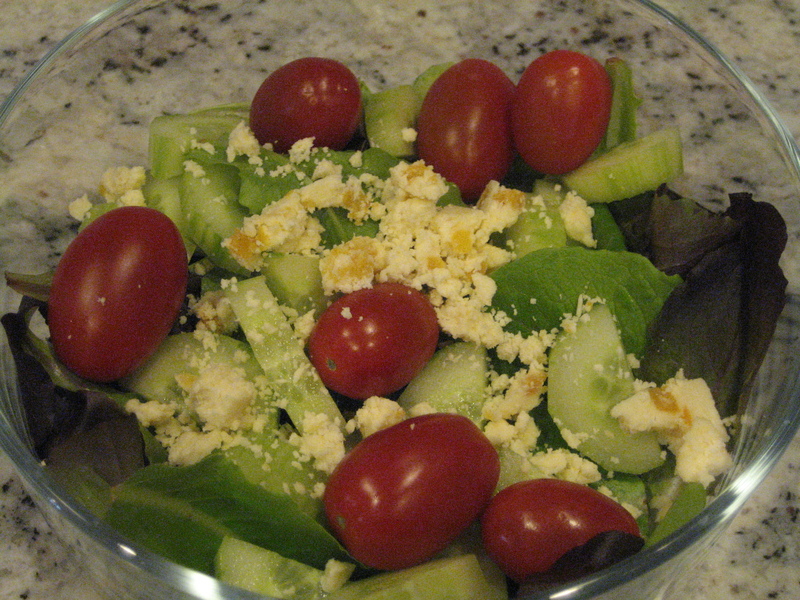 A salad with romaine, grape tomatoes, cucumber, apricot stilton and pear infused vinaigrette. 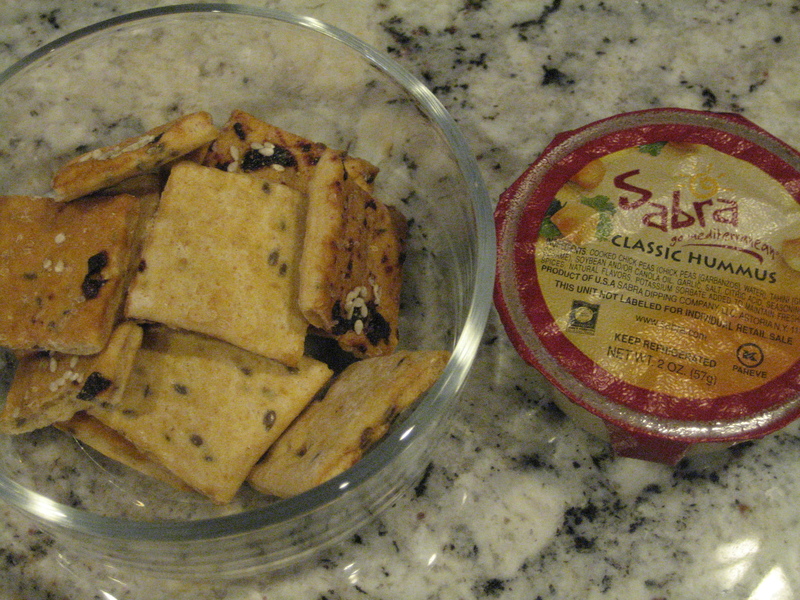 Along with some Dr. Krackers Cherry Semolina crackers and Sabra hummus. I found these individual packs of hummus at BJ’s yesterday. They are awesome for portion control. I can eat an entire jar of hummus in one sitting, so these will be perfect to balance that out. I also got a huge container of Spinach & Artichoke Hummus, which I had never seen before. It will make a debut for dinner! 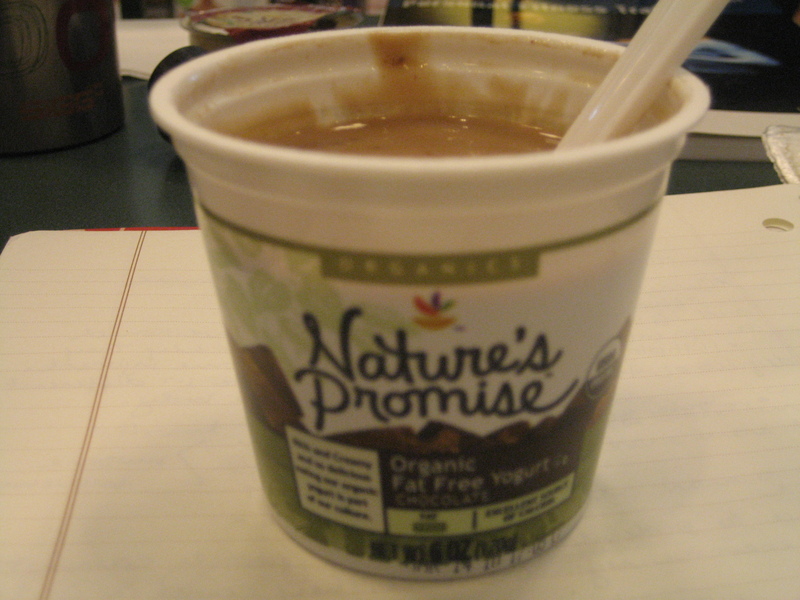 And, chocolate yogurt – why not?! 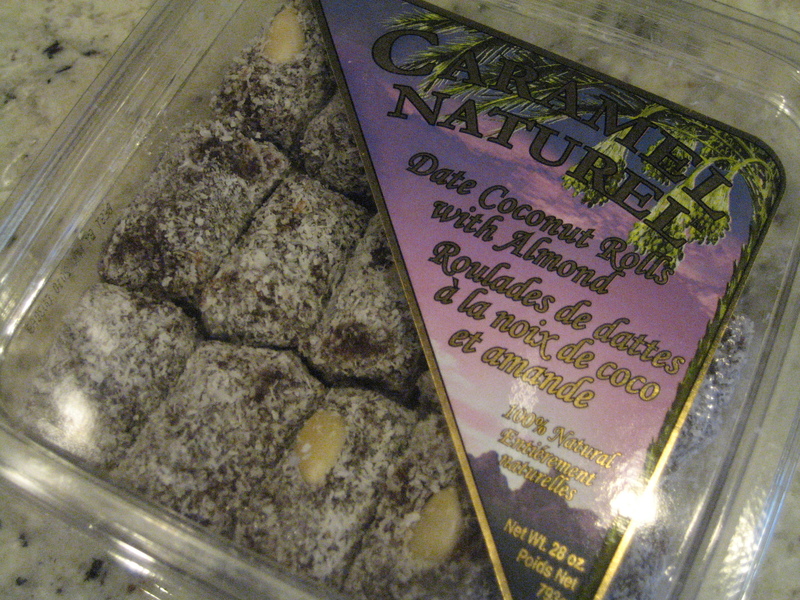 Later on, I snacked on another BJ’s purchase – Coconut Almond Dates. 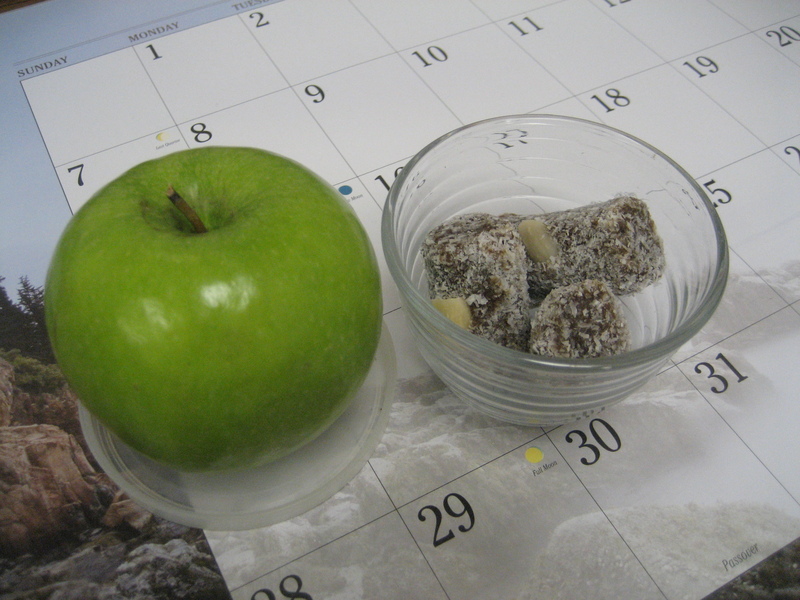 They contain 3 ingredients – Dates, almonds and unsweetened coconut! 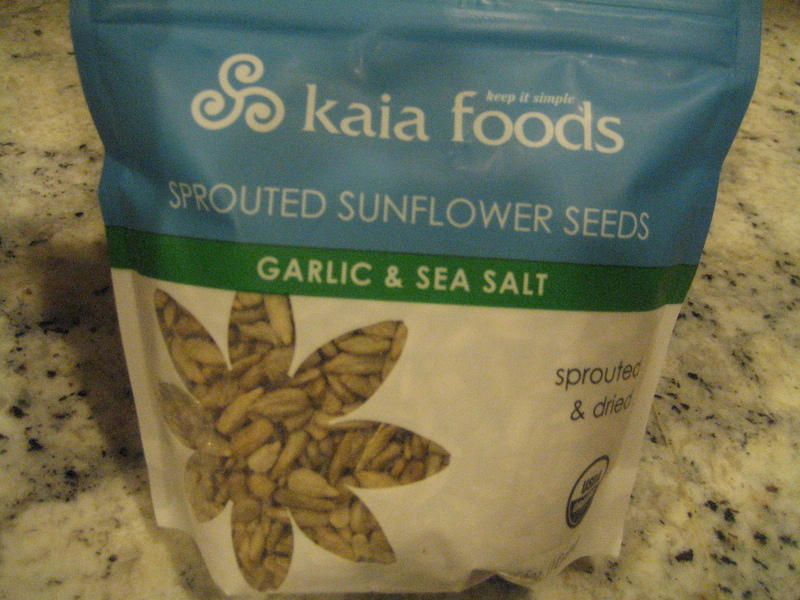 I have bought these before at my local health food store, but found this huge container at BJ’s for so much cheaper. Consumed with a green granny smith apple. For dinner, we decided on panini’s and salads. 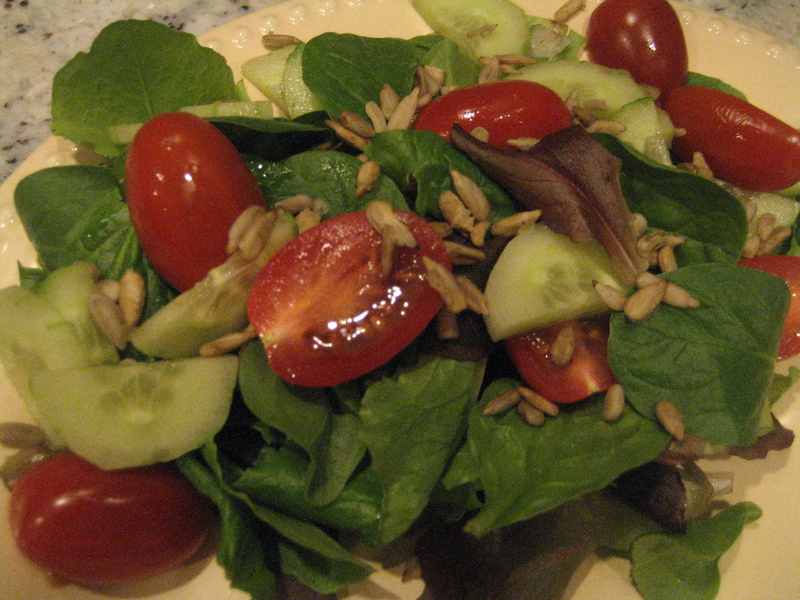 I made a big salad with greens – romaine & spinach, grape tomatoes, cucumbers and Kaia’s garlic & herb sunflower seeds with a drizzle of olive oil and honey. These sunflower seeds were great! Really crunchy and flavorful. Can’t wait to try the other flavors. 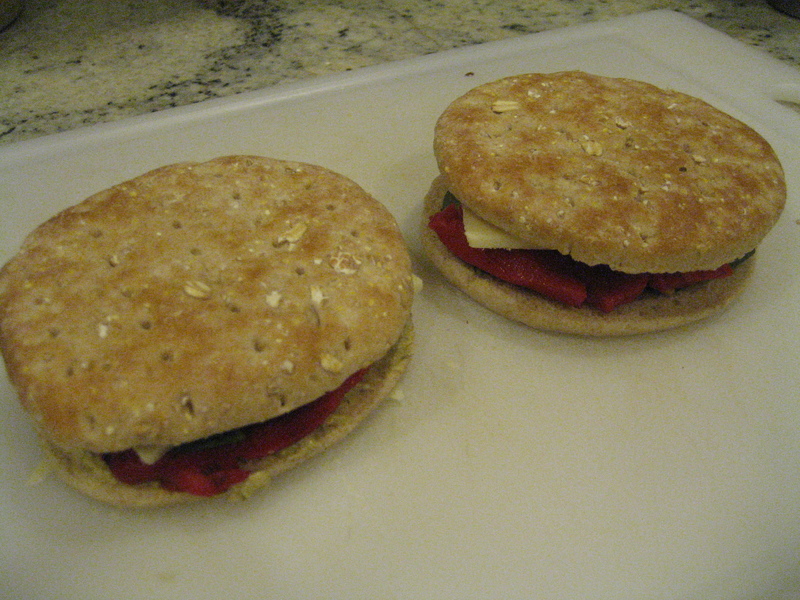 And, a fun panini – a whole wheat sandwich thin with spinach & artichoke hummus, roasted red peppers, basil and cheddar cheese. 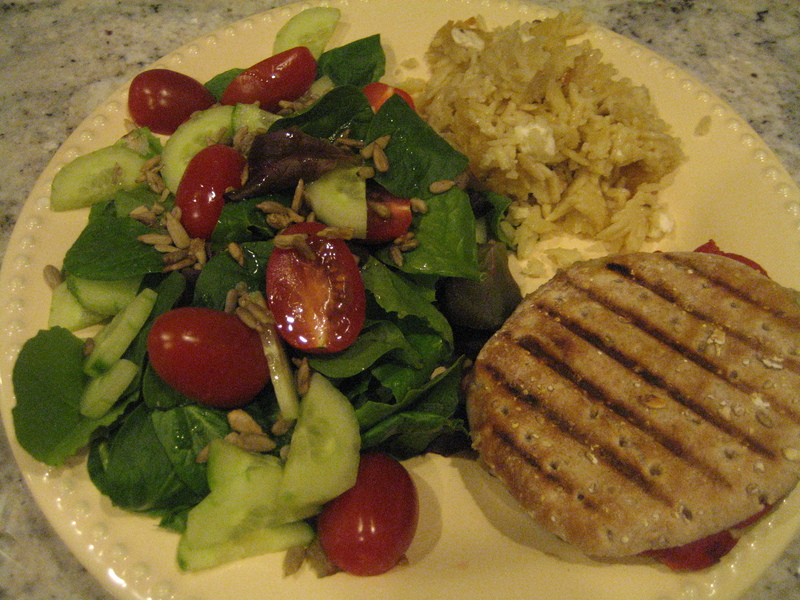 This was a delicious and satisfying meal, with a side of orzo from Saturday nights apres ski party. I got in a lot of greens today, whew! Time for 24. I’ll take one of everything, please! I’m especially intrigued by the cherry semolina crackers! P.S. Thanks so much for your sweet comment. It really made me feel a lot better. Don’t you love days you are proud of your green intake? !